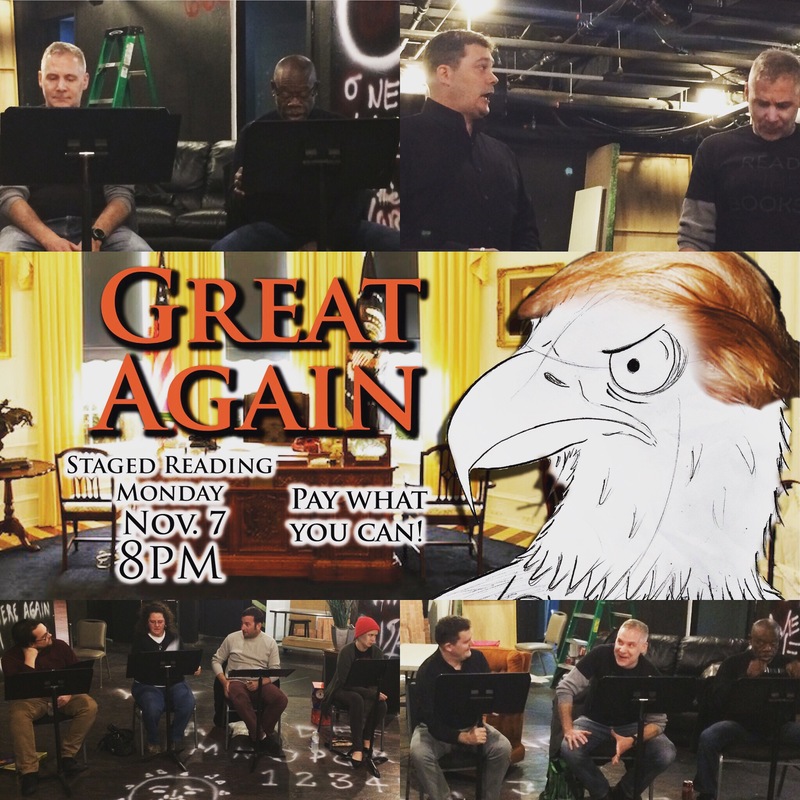 The wait is almost over, tonight at 8pm Great Again goes live at the Maryland Ensemble Theatre in Frederick, MD. It’s your one chance to catch this satiric take on the Trump presidency so don’t miss it! For those readers who aren’t located anywhere near Frederick, MD – check out The Annual’s Facebook page around 8pm for a special surprise! Previous PostThings To Do With The Extra Hours Of Winter DarknessNext PostWatch Great Again and GO VOTE!